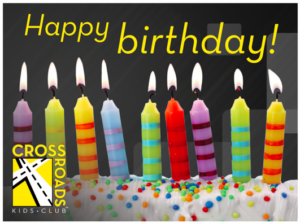 Here is a Birthday Postcard Template you can use for your Kids Club. Click the link below and download the file. Edit the second page by filling in your church’s return address. Print double sided, preferrably on cardstock. Cut them out and personalize them with a birthday message.